As Pinterest continues to explode in popularity, more businesses and brands are launching accounts on the network. While having your company involved on the platform is an important first step, you may also want to make it easier for people to share content from your company blog on Pinterest. Not only will a Pinterest presence be helpful for your online reputation, but it can be a powerful way to increase your sales. Even if Pinterest members are using Pinterest’s browser widget, adding a “Pin It” button to your blog articles may increase the amount of sharing (and traffic) your blog receives. Here’s why you should consider adding the button to your site and how you can do so. As mentioned above, the Pin It button makes it easier, and perhaps more likely, for your company blog’s content to appear on Pinterest. With data showing that Pinterest is exceeding most other social networks in terms of referral traffic, having your material pinned can be a great way to generate word-of-mouth and expose your company to new potential customers. Those referrals are also 10 percent more likely to make purchases, according to a study by Shopify. If Pinterest is part of your social media strategy, then adding a Pin It button to your blog is an easy way to get your content on the network. If you haven’t jumped on the Pinterest bandwagon yet, remember that you don’t need even need an account to have your material appear on the site. The button can also show you how many people are pinning your content — which may end up convincing you that the network isn’t just a flash in the pan. Fortunately, Pinterest makes it pretty to add the Pin It button to your site. The network is clearly aware of the growing interest in making content sharable, so it has a detailed walk-through on its website. It has an application to generate HTML code under the subheading “Pin It Button for Web Sites.” You’ll need a basic understanding of coding language in order to make the addition. Enter the URL of the web page you want the pin connected, along with the URL for the specific image to be pinned, and the app will produce the necessary code. You have the option to add a description of the content; this can help make the pinning easier for your readers. Once you enter the required information, the code generator displays the necessary HTML. Copy the entire link generated, then through your blog’s content management system, paste the code where you want the button to appear on your blog. Along with the button, you have the option to display the number of people who have pinned a page. On the right side of the code generation widget, there is a drop-down menu titled “Pin Count.” You can choose to have the number of pins displayed vertically above the button, or horizontally to the right of it. Or, you can select “No Count” to hide that feature. Be sure to place the Pin It button near the rest of your sharing buttons, so that your readers can find all of the available social media outlets in a single place. 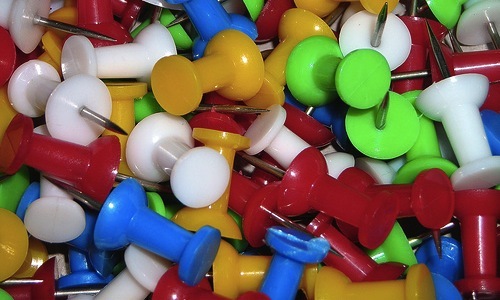 You’ll probably want to maintain consistency with your other buttons in terms of whether or not you include the information about number of pins. 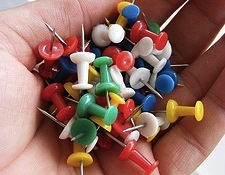 If you have Facebook Likes displayed horizontally, do the same with Pinterest pins. If you have any problems in creating the Pin It button or in getting it to appear on your page, check out Pinterest’s support page for troubleshooting. Here you’ll find frequently asked questions (and responses) about getting your blog or website pin-ready. 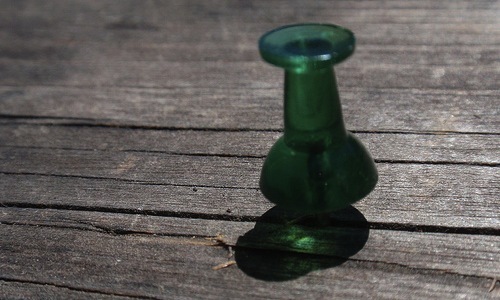 Do you have a Pin It button on your company blog? Let us know in the comments!